There are various of free blogging platform available on the web.Before you would like to enter in this blogging world you should know well about those platform to choose which one is best for you.Along with WordPress and Blogger Joomla make up the group of “big three” open source blogging platform.Though many people haven't yet heard about this blogging platform but it is a well popular one these days.Many people love to went with this platform for some serious blogging. According to statistics from W3Techs, Joomla powers 2% of the web and holds 11% of the CMS market. Joomla is a powerful and flexible blogging platform which can do wonders for your business. Have you launched your site with Joomla ? If yes, you can find a list of demo posts or sample data that come along with it right there. These posts provide irrelevant links, pages and newsfeeds that are not related to your niche. Always remember to delete the sample data and make the trash empty. This is the most important step to be performed while you are on Joomla site. While it's came to white hat seo technique cramming keywords in the article or on the site name is not the right way of practicing it. Never cram keywords wthin the Site Name field. As an example: If you do have site names like “Widgets, Cheap Widgets, Buy Widgets”, when a customer registers at your site, he/she will receive an email stating”Welcome to Widgets, Cheap Widgets, Buy Widgets”.Choose simple but unique names that are relevant to your business and easy to mind. PDF links are the dead end of your site. Customers can never be able to navigate from the PDF to the rest of the site. Though you may get the PDFs ranking much higher compared to the original pages. So, it is important to turn off the PDF links which is a barrier. There is no denial that social bookmark links always help in such business. It is recommended to place social bookmarks on your best posts. Online visitors love to see an online page that is full of information, colorful and less cluttered- and so also the search engine bots,but never place the social bookmarks on all your pages. When you perform a search in Google, you can get the size for each site. Faster and smaller sites are widely popular among Google and visitors as well. Make your site looks small by turning on the cache found in the Global Configuration. This also helps the site in improving loading time. Maintaining a site that is well organized is a great way to attract more visitors. Customize the sections and categories in your site and make it easy for both spiders crawl and visitors to navigate. Providing apt descriptions for each product is a simple way to improve your page rank. Make sure that the descriptions are in simple English without any grammatical errors. Indexing thousands of Joomla pages in Google considering not a great idea specially when they are not productive. You may have plenty of extra pages which are worthless. Check to see if your site is throwing garbage to Google or not. If you land on pages that have poor content remove them instanly to improve the quality of your site. Almost 99% of Joomla users do this mistake while running their site with joomla. The data of that particular field is displayed on all the pages of your website which doesn't do any good for your business at all. It doesn't serve the SEO purpose or the popularity of your wensite. However you should empty the metadata in Global Configuration. Above all, confidence and patience is the much needed thing to handle this software. Joomla permitss you to make plenty of high quality pages which are an inevitable factor to practice SEO. Keep a close eye onto your site and spend a good amount of time on Joomla. 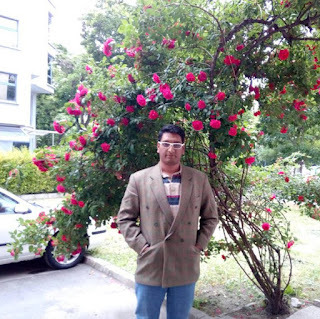 Joomla may not be still good enough to competite with mega blogging platforms like blogger and wordpres,but it's a very fast growing blogging platform in the world of blogging and in future it may take a great positon in blogging world we hope. Joomla would be a nice platform to study and launch in the future. Interesting. 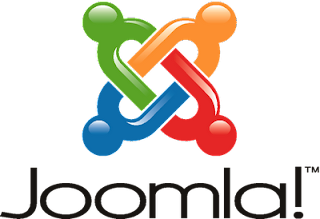 I've heard of Joomla, but haven't really paid much attention to it before. Thanks for sharing! Wow great information about Joomla Development. Joomla is best CMS. It is easy to use and so affordable. For more information about Joomla Portal Development visit our website.